April 12, 2012 Does “Main street Fairness” amount to taxation without representation? Main Street fairness and streamlined sales tax… What could sound more appealing? Who’s going to argue against fairness? I mean, you can hardly go wrong when you’re supporting good ole’ Main Street with its suggestion of American flags flying outside Mr. Whipple’s local grocery store. And streamlined is better, right? It sounds like taxes will finally be standardized and made easier to comply with. Right? But, it’s never quite that simple, especially when you’re talking about collecting sales tax. At issue is the Main Street Fairness Act, its current form still bouncing around congressional committees. The bill is intended to compel online retailers to collect sales taxes on purchases made through their web sites regardless of whether that retailer has a physical presence in that state. If signed, it would be implemented in the 24 states that have adopted the Streamlined Sales and Use Tax Agreement (usually shortened to SSTA). Not promoted quite so openly is the $18.6 billion in sales tax the SSTA states estimate has not been collected on their behalf from 2010 alone. States with frightening budget shortfalls are unlikely to let any amount of income slip through their fingers. Another glossed-over fact is that, if the Main Street Fairness Act becomes law, there still wouldn’t be a uniform tax code since it would only affect the states that have agreed to the SSTA. The Streamlined Sales Tax agreement isn’t as beneficent as it sounds at first blush either. The agreement claims it is an effort to simplify the sales and use tax process in a cooperative effort of federal, state and local governments to reduce the cost and administrative burdens on retailers who collect sales tax. The SSTA doesn’t boast that for all of the added levels of bureaucracy it creates, none of the tax rules have been made, in fact, streamlined. Each of the 24 participating states still determines its own tax rates, tax jurisdictions, and the taxability of certain items and services. The only real progress they’ve made is agreeing to standardize some definitions of taxability. What’s buried in the fine print is that while SSTA is voluntary so far – offering limited amnesty and audit protection to retailers who sign on to collect sales taxes across state lines – this may not always be the case and non-compliers may be pursued. As pointed out in an analysis by Fosters.com’s Curtis Barry, this bill, if passed, would amount to taxation without representation. He noted that the Streamlined Sales Tax Commission is made up of office holders and bureaucrats from SSTA states. These board members are not elected but appointed by unstated means. Barry also pointed out that “It is troublesome that this commission could lower the threshold [on the small business exemption] whenever the states that have signed on to the SSTA need money.” He noted that the commission may also have the power to make other unspecified policy changes that could affect states while the states and their businesses would have no say in the matter. You can bet that online retailers didn’t have much nice to say about the bill either. Not unexpectedly, mega-web site eBay has a full-blown movement against the bill. EBay sent messages to every one of its users and asked them to sign a petition opposing the bill which they claim is anti-small business. You might be tempted to get a warm, fuzzy feeling about how concerned eBay is about the welfare of all of these small businesses. But, if you think about it, you can be pretty sure that eBay isn’t motivated by purely altruistic reasons. As they said it themselves, they see the Main Street Fairness Act as “an unfair and costly burden for small businesses …” (not to mention big businesses), “… to collect sales taxes for 15,000 tax jurisdictions in 45 states.” The source of EBay’s jurisdictional numbers is somewhat questionable, but their incentive remains clear enough. So eBay, Amazon, and other huge online retail coalitions are arming for what’s likely to be another bitter and drawn-out war against both the government and brick and mortar retailers who would like to share the oppressive tax burden with as many others as possible. 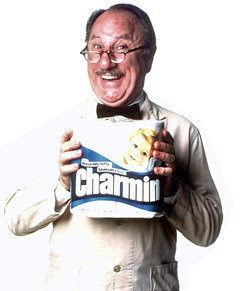 But maybe it’s worth noting too that Main Street’s Mr. Whipple – of the discontinued “please don’t squeeze the Charmin” advertising campaign – wasn’t quite the local small businessman he portrayed either. He was the creation of the Fortune 500 company Proctor and Gamble who, in 2007, spent $2.62 billion on advertising, more than any other company in the U.S. In the end, the fate of this legislation isn’t likely to be decided by Mom and Pop Main Street, Mr. Small Online Business, or John Q. Public. The debate will be framed by mega companies with their PR agents, marketing departments, and hired guns pitting their resources against state governments, special interests and high-paid lobbyists. And, regardless of the outcome, the money that will be fueling the battles will all be coming from the same place: you! The bill has changed names with each new congress, but you should be able to follow the latest version by searching at opencongress.org.